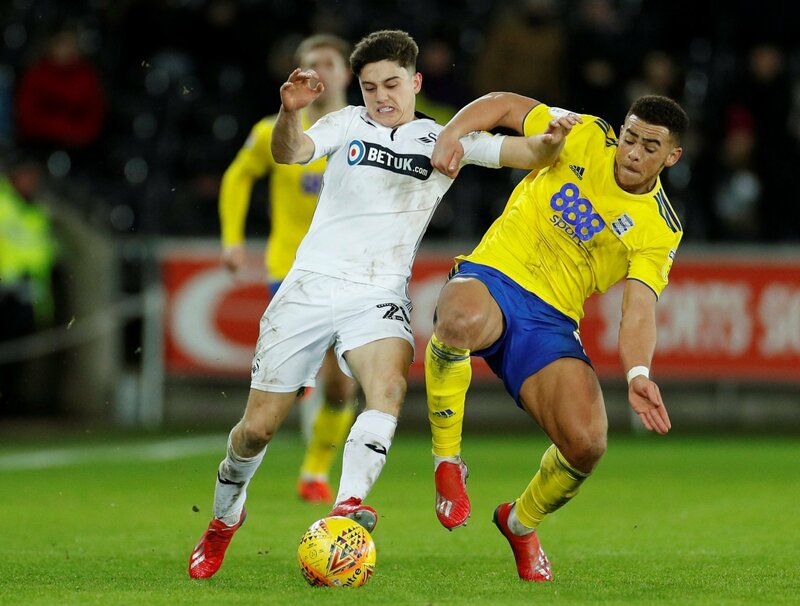 Graham Potter has confirmed that Daniel James is available to face Leeds United, as the Swansea City boss weighs up the idea of starting the winger against the club he nearly joined on deadline-day. Leeds had been in pursuit of James for the majority of the January transfer window, with it looking like they’d landed their man on deadline-day. James had a medical at Elland Road and was set to sign, but Swansea pulled the plug on any deal at the eleventh hour, leaving Leeds frustrated and without an outfield addition in the winter window. Now, James could feature at Elland Road tomorrow, against Leeds, with the 21-year-old back in the fold at Swansea. Since the collapse of his deadline-day move to Leeds, James has made only one appearance for Swansea. Potter recalled the Welsh winger to his squad for Saturday’s clash with Millwall, with James completing 90 minutes as the Swans recorded a 1-0 victory. That set them up nicely for Wednesday’s trip to Leeds, who enter the clash on the back of a dramatic 1-1 draw with Middlesbrough. Kalvin Phillips’ headed Leeds level at the Riverside Stadium in the 11th minute of added time in the second-half. It’s little surprise to see James in contention to play at Leeds, with the winger needing to put the collapse of the transfer behind him. James will have been frustrated to not secure a move to Leeds, but this is professional sport, so if he features against the Whites on Wednesday, he will be hoping to win the game.